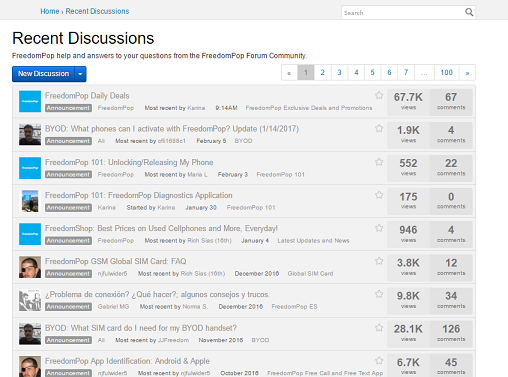 Discussions Page-This is the main part of the "FreedomPop Community", when you ask a question or start a discussion, this is where the thread is placed. On Top of the Post, you’ll see a drop Blue down menu that says(New Discussions) when you click the little arrow pointing down->, The Drop down Menu says (New Discussion), (Ask a Question) and (New Poll). Make sure when posting you use (New Discussion) or (Ask a Question). Make sure if you are looking for help on the forum to Create a NEW Discussion when you are ready. Adding to an older discussion, and the comment may get lost. Sometimes the older Discussions are hardly looked at. Create a New Discussion when you are ready to swap. Next you will need to pick a Category, I used Device Swap as an Example. Create a Title and than explain what you need. Last, Make sure to add Tags, and than Press the blue Post Discussion button. Once an Admin releases the post, it will show up on the Discussion page in the Category picked. All post are moderated to protect us from other users that don't follow the Forum Guideline. Make sure to read the guidelines before post. My Bookmarks- All the post you decided to mark as a bookmark you’ll find here. Click the little star next to the title to add here. My Discussions-all The posts or threads you created you can find here. Best Of-The same as the top of the page-Anytime a question is marked as answered, the answer will be placed here. Groups-This will take you to the page with all the latest FreedomPop Groups and updated Post. Recent Discussions-Over to the Right of the column you’ll see the post in the order as they get released or commented on. Highlighted are going to be the ones you have not read. Announcements are first and then the standard topics follow. Note to START a new thread topic, you use the "
in black at the top. 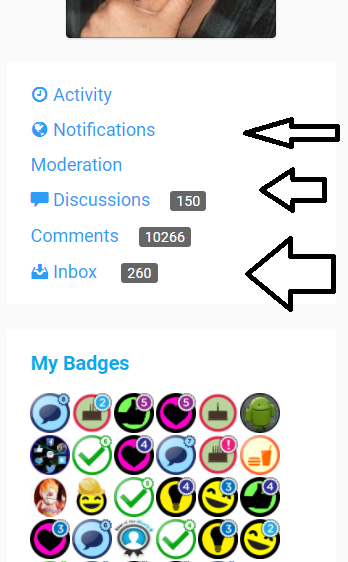 I do not have a drop down menu or anything showing in the Forum for New Discussions or New Thread. I have been trying to get answers to my questions for three days and many, many hours. I would like to Subscribe to this post, so I hope someone will let me know how to do that, too? Thanks to whoever can post about this question. Like Marian, I also want to post on the forums regarding a billing issue. I've tried calling customer service multiple times for an hour and have yet to get any assistance. Hi. I have not received my phone. What's the holdup? I am trying to be patient but nobody getting back to me. Going on three weeks now. Maybe this was a bad idea. Please let me know something. The Flag form doesn't work; it wants a category. FreedomPop has changed allot on the forum. I need to do a major overhaul on this 101. Here is the current area you click instead of the drop down mentioned in the column. HI I have freedom pop on my s5 I got a note 5 today it's a sprint phone will I have any problems using freedom pop on it ??? ?